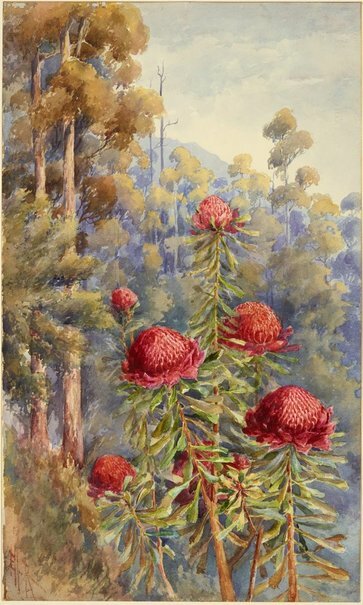 Margaret Betteridge, State of the waratah: the floral emblem of New South Wales in legend, art and industry , 'A mere flower painter', pg. 16-17, Sydney, 2000, 16, 17 (colour illus.). Anna Elias, Art and Australia (vol. 32, no. 1) , 'Useless Beauty', pg. 66-72, Sydney, Spring 1994, 71 (colour illus. ).